Gayathri founded Sapling Consulting, a management consultancy providing strategic business development advice to early-stage startups. She was also actively involved as Partner and Mentor at TechRanch Austin, a startup accelerator. Prior to founding Sapling, Gayathri was based in Germany as an Associate at Earlybird Venture Capital, a top-tier European VC firm. At Earlybird, she managed deal sourcing and assisted with all stages of the investment process; she served as a board observer at Smoodoos, a virtual world for kids. Gayathri gained her entrepreneurial experience as Director of Product Marketing at early-stage technology startup SozoTek where she assisted with the successful launch of the company and was responsible for branding, product management, and direct/channel marketing. Prior to SozoTek, Gayathri was with Corning where she played a key role in the launch of Corning’s 10 Gigabit multi-mode fiber. Gayathri received her Bachelor’s degree in electronics and communication engineering from Bharathiar University, India and a Master’s degree in electrical engineering from Ohio State University. She also has an MBA from INSEAD in France. Gayathri also serves on the regional selection committee for the Texas Emerging Technology Fund. 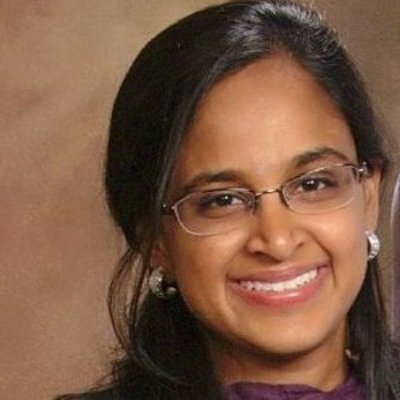 A member of Class 16, Gayathri is serving her fellowship at Dell, Inc. under the mentorship of James Decker, Director for CSMB Corporate Development & Strategy.